We can supply & install a complete Home Burglar Alarm System for just £249+ VAT, in Brighton and throughout Kent & East Sussex. Call us on 08450 042499 now. Donï¿½t just sit back and let your home and family become the next victim of Burglary! All systems comply with SSAIB & fully insurance approved. Look around your property to find out exactly how many door &windows you need to make secure. Discover places that are potential locationsfor keypads and the control panel. Near the front door is usually a suitable place to get a keypad. Close to or in your bedroom your bed is additionally a place that is recommended.This can tell you how much the cables have to be routed to detectors for a wired alarm system. Keep in mind: it is not easy to put in a security system that is hardwired in houses which have been constructed. 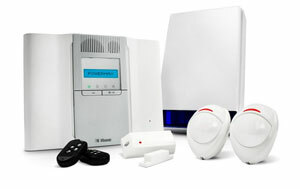 Ask yourself if you'd like a security system that is monitored. A more affordable option would be to set up a self-tracking system that can dial your private telephone and other chosen phone numbers in the event an alarm is triggered by the alarm system. Consider your family's day to day movements . Do you frequently get up in the middle of the night to visit the toilet or get a bite to eat? Have you got a pet that roams your house? Have you got precious items which may need more advanced security equipment, including surveillance cameras, photo detectors, artwork protection, etc. These circumstances help determine the kind of movement detectors as well as other security devices you will need as well as the way they are going to be set up.It should have the ability to track your whole house whether you decide on a wireless or a hardwired system. Bear in mind that when your choice is a system that is wired, the installer must drill holes. The transmission range should be big enough to cover your whole home as well as the system needs to have the ability to cover the zone farthest if you decide on a wireless system. Also, select something which may include private and panic crisis buttons.The security system you decide on must be user friendly. Check that adding users or new codes is one that everybody in your family can easily learn and an easy procedure.